At our survey, someone suggested we should make a better introduction to the purpose of the page or a more clear „About” section, asking if the content will be new and originally written by contributors or is it meant to be a study archive of available free resources. To answer this first, I would like to specify that there are two types of members who contribute differently to the website. The Author is a member that writes exclusive material for us, new articles that haven’t been published elsewhere. 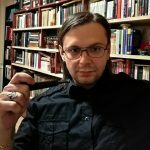 The response to the question „will all the content be new and originally written” is no, not all the content, but many articles will be new and exclusively written for Occult-Study. Right now, since we are at the beginning, we are trying to convince people to join our team, first as collaborators, who will contribute with material already written and published, and then with original material written exclusively for us. In order to convince people who already have an important name in the occult community we need to show them that we are worth their time. Because few important authors still have time to write for free. But this is possible, it has already happened, some exclusive material is already on the way and more is coming. The Collaborator is a member that gave us permission to use his articles already published elsewhere. So in this case, it is also an archive of available free resources, but instead of searching on 10 different websites, you have a single website at your disposal. Collaborators are usually authors who don’t have time (at the moment) to write exclusive material, being involved in other projects (i.e. books or their own websites and blogs). But things will change, and you will see that in the future. The same person asked if we are targeting young magicians to provide guidance to, or also experience practitioners. This is important to remember, and it is already stated at the About section that „what you will find here is general and basic (sometimes advanced) information” and that „its purpose is to inform people who are new in the area of occultism as well as those already initiated”. So, what we want to do right now, at the beginning, is to make as many introductions to various subjects as possible, so that people who are new to that subject can know the basics. After we are done with the introductions, we are going to make in-depth articles and studies about the same subjects, so that people can learn more after learning the basics. So basically, we are also targeting „new-comers” and experienced practitioners or researchers. It takes time and effort, but it will be done. It is already being done, and though it doesn’t look like it’s much going on, it actually is, but we are announcing at the right moment. I will state this on the About page too, so that our goal may be clear to everyone. To the person who asked these questions: Thank you, these were helpful and important subjects that had to be discussed and we will follow your suggestion.